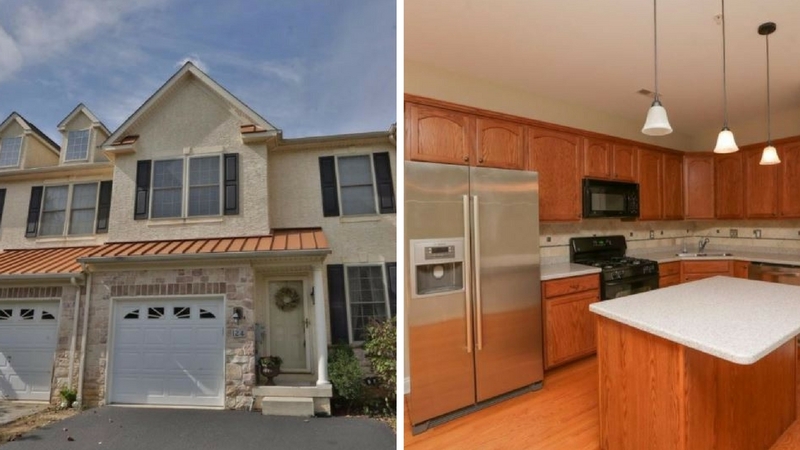 Enjoy easy living and a great location in this spacious 3 bedroom townhome in highly sought after Hillcrest Glen of Conshohocken. This tastefully designed home is complete with a bright eat-in kitchen featuring granite counter tops, island with seating, and breakfast area with exit to rear deck. Dramatic two-story family room featuring a gas fireplace located off the kitchen allowing the perfect flow for entertaining The formal dining ,living room and powder room complete the first floor . The master suite is complete two closets , full bath with soaking tub and stand up shower and double vanity . 2 additional well appointed bedrooms both with ample closet space and sun filled . The neutral hall bathroom with tub/shower combination, loft area ( perfect for a home office) and laundry area complete this level. All of this is nestled in a great location within the community Close To All Major Roads, minutes To Shops and Dining. No Lawn Care, No Snow Removal! Stress Free Living Awaits You. All this and located in the Award winning Colonial School District . The listing price is $364,000. For more information contact Stinson at (610) 828-9558.